Thanks Liz Curtis Higgs, I am happy blogging. 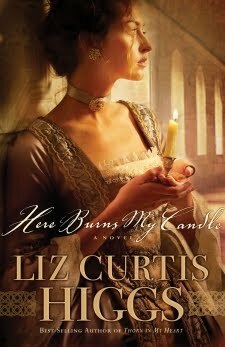 More importantly, I am happy blogging for WaterBrook Press about your new book, Here Burns My Candle. Before we begin, I just have to get one thing out in the open: I did not for one second believe I would like this book. Phew. That feels good to get off my chest. Liz Curtis Higgs, hey girlfriend, if you're reading this, I'm sorry. But, your book is about love and redemption. So, hopefully this review will redeem my confession. And if you're not reading this, well then, I guess we're even. I completely forgive you (consider me the Elisabeth to your Mrs. John Kerr if you will). I haven't come into much contact with Liz Curtis Higgs' fictional work. I read her non-fictional Bad Girls of the Bible study a while ago. I remember being intrigued with how she interpreted the stories of these wicked women. Such detail and humor mixed with some very serious (and obviously accurate) historical context. 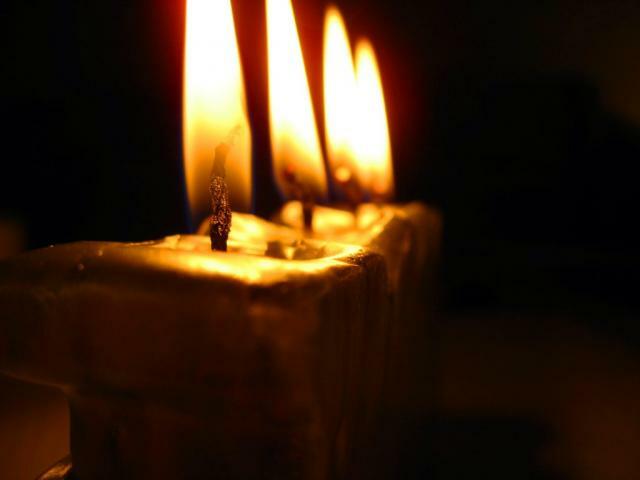 That, in a nutshell, is what Here Burns My Candle is comprised of. A challenging, thought-provoking storyline centered around the Jacobite Rebellion in the eighteenth-century Scotland. Through reading this captivating novel, the sharp detail of Higg's writing is made apparent. From the simple appearance of candles (they flicker, or spark, or are snuffed during key turning points during the story), to the quotes relating to the story's plot at the beginning of each chapter. This attention to detail carries over into every colorful character's inner dialogue. Their thoughts are purposeful, and very well could have been thoughts that were provoked by the people of this particular time period. "The sterling spoons were numbered so when the maidservant whisked away the china cups to be refilled, the were returned to the proper guest" (60). It is attention to details such as this that makes the story so believable and enjoyable. Higgs' writing style also allows the reader to step inside the minds of every important character. We, as the readers, are granted access to their thoughts - rather than having one omniscient narrator droning on and on about the Highanders and their struggle to return to the auld ways. The story is way more enjoyable, and it is easy to get swept away into the literary world. This also heightens the tension within the story, because we are able to understand exactly what character means when he or she speaks something. One of my favorite quotes from the book falls when the Lowlander Lord Kerr meets his Highlander wife's brother. A soldier loyal to the Lowlanders. Elisabeth, the heroine of the story, and the peacemaker between the two gentlemen is called to talk to another person. As she leaves the two very opinionated men to themselves, her husband says, "Your brother and I can manage without you" - he glanced at Simon - "provided we speak of the weather." (89). Higgs also implements a lot of dialect from the time period. It forced the reader to step inside real Edinburgh. Although, after seeing the word "nae" about 300 times, it does start to get a little overkill, but this opinion is easily overturned when considering the accurate nature of the dialogue. Overall, it was a very enjoyable read. If you are interested in purchasing this book, it is available online at http://www.waterbrookmultnomah.com/.